Over the last few decades, researchers and statisticians have become adept at assessing risk. We now know about the potentially dangerous substances, activities, and practices we may encounter or engage in. We can rank them according to their degree of risk. We can begin to provide and implement ways to mitigate the risk. Something catastrophic – say, a tornado – is perceived as a greater risk than something such as a mosquito bite, but the biggest killer of people worldwide is a mosquito-borne illness (malaria). Moral significance affects people’s outlook regarding transgendered people in bathrooms to a greater extent than, for example, industrial pollution. Voluntary activities, engaged in of our own choice, are perceived as less risky than involuntary ones that result from the actions of others. That is why it took decades to get most drivers to wear seat belts or to reduce the incidence of cigarette smoking below one-third of the adult population. By the same token, that which is familiar is not perceived as much of a risk. We see many children riding bicycles without helmets, and many people mowing lawns without hearing and eye protection – it’s the way it has traditionally been done and thus we are comfortable with it. Public outrage about shootings in high schools is much greater than public outrage about playing high school football, but a student is 36 times more likely to die playing or practicing football in school than from being shot in school. This brings us to one of the most hotly-debated issues of public health and safety – one which should reasonably be something subject to near-universal agreement. 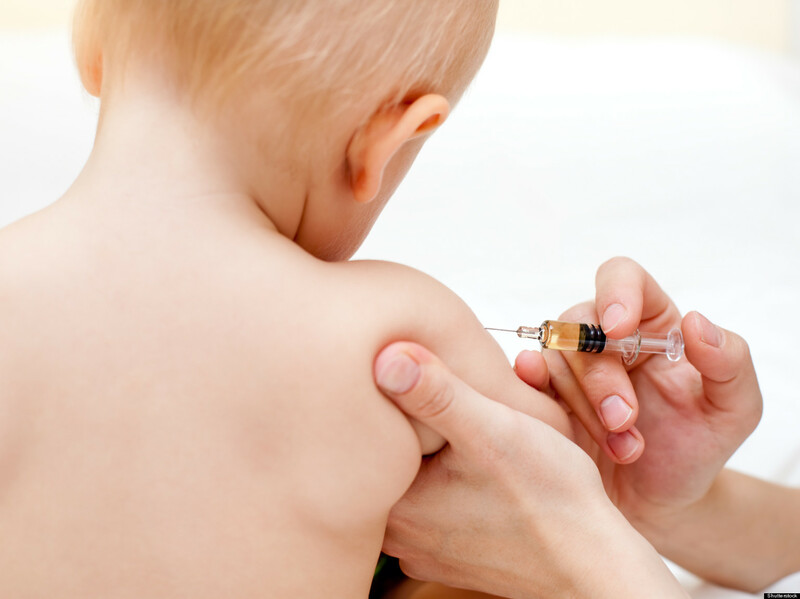 There is a fiery controversy over the vaccination of children against preventable diseases. Why would parents resist? The most common reasoning seems to be based in a wholly-discredited study reported from England in 1998. That study linked measles-mumps-rubella (MMR) vaccinations to autism, a frightening and little-understood condition. A decade later, the study was exposed as a deliberate fraud perpetrated for the purpose of receiving payments from lawyers planning to sue vaccine-makers. The Lancet, which published the article, retracted it. But the damage was done – measles, whooping cough, and other diseases once thought a thing of the past began reoccurring, no doubt resulting in many deaths. The doctor who conducted the study, Andrew Wakefield, was stripped of his license and forbidden from practicing medicine. Nevertheless, neither he nor his work have faded into oblivion. On the contrary, he has become a hero to many and a champion of the anti-vaccine movement, in demand for speaking engagements and appearances at alternative-medicine convocations. The fight against vaccination has not calmed. It seems bizarre. Why would parents deny their children proven protection? Do these parents also not vaccinate their dogs against distemper or rabies? They tell their children’s pediatricians not to vaccinate. But in order to tell them that, they have to consult them; that is, they must bring their children in for other medical services. That seems irrational – why would such parents trust the health of their children to a doctor who practices vaccination on other children and would vaccinate theirs if they allowed it? If they believe vaccinations are harmful, then they must believe that their children’s pediatrician is either ignorant/incompetent, or that s/he deliberately and knowingly poisons children! Measles, mumps, rubella, polio, tetanus, diphtheria, and other diseases that can be prevented by immunizations once killed or permanently injured thousands upon thousands of American children every year. The means to prevent them have been developed over the last 60 or so years, and generations of children have been spared because of that. But we are now seeing a significant resurgence of some of these diseases which had become almost extinct in America, because a sizeable cohort of American parents are choosing not to have their children immunized. Even in the face of calls from health agencies, associations of medical doctors, advocacy groups for autism, and other panels of experts, these parents deny their children potentially life-saving immunizations. Typically, the people known as “anti-vaxxers” are responding to the factors which increase risk perception. Perversely, one of those – unfamiliarity – is a result of the success of vaccination campaigns. In the first half of the Twentieth Century, polio was a scourge upon young people, causing disabilities and deaths across all across the socioeconomic spectrum. When the Salk vaccine became available in the 1950s, parents flocked to have their children immunized because they knew the terrible effects of polio. Today, it is an almost unknown disease in this country. Knowing people disabled by polio has become rare, but when most people at least casually knew people with the disease or had experienced it within their families, it was a different story. Smallpox has been declared eradicated worldwide, but once it was common. George Washington had it, as did Abraham Lincoln. It is widely known to have killed millions of the indigenous people of the Americas after it was brought from Europe. What is less well-known is that about as many were killed by another devastating disease brought from Europe – measles. Measles is not always a short-term, relatively harmless disease, but when people don’t see it, they are less likely to fear it. Another of the circumstances that increases the perception of risk in the minds of anti-vaccination parents is that of coercion. That which is one’s own choice is seen as less of a risk, so choosing the dangers of non-vaccination may seem less risky than coerced vaccination. Somebody is trying to make them vaccinate, which makes them more obdurate in their refusal. The unknown is the third aspect of anti-vaccination risk perception. Autism is a strange, shadowy, and unexplained condition. No one knows when or how it may present itself, or the extent to which a child may be affected. The fear of the unknown leads to the urge to say no. It is well known that people tend to avoid interaction with anything of which they are unsure. The confusing accusations on the internet and elsewhere lead to enough uncertainty to deter trust. What, then, is to be done? Vaccination works best when it is practiced virtually universally. There are some children who cannot be vaccinated because of age or some other medical condition, and the possibility of contracting a dangerous disease from a child who is voluntarily unvaccinated should be unacceptable. Parents do not have a right to use their children as potential vehicles for spreading deadly diseases. It is unacceptable to allow some parents to refuse to vaccinate and thereby to place the responsibility for their children’s health on those parents who do vaccinate. There are many things we do not allow children to bring into schools and other public facilities. Dangerous disease should be one of those things. If we are going to accept parents’ choice not to vaccinate their children, those parents must accept that their children must not participate in public functions, including public schools, parks, and playgrounds. It’s their choice. They can be participants in society, accepting their responsibilities, or they can eschew both responsibility and participation.